My goal is to serve you and share with you the best possible information I know to help you transform and create your happiest and best life; the life you want. So, if you could sit down with me for an hour, what is the one question you would ask me? Submit your question below. 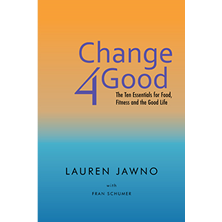 If I use your question as the topic for a blog post you will receive a FREE electronic copy of my book Change4Good, as well as general notifications about my blog and other related information.